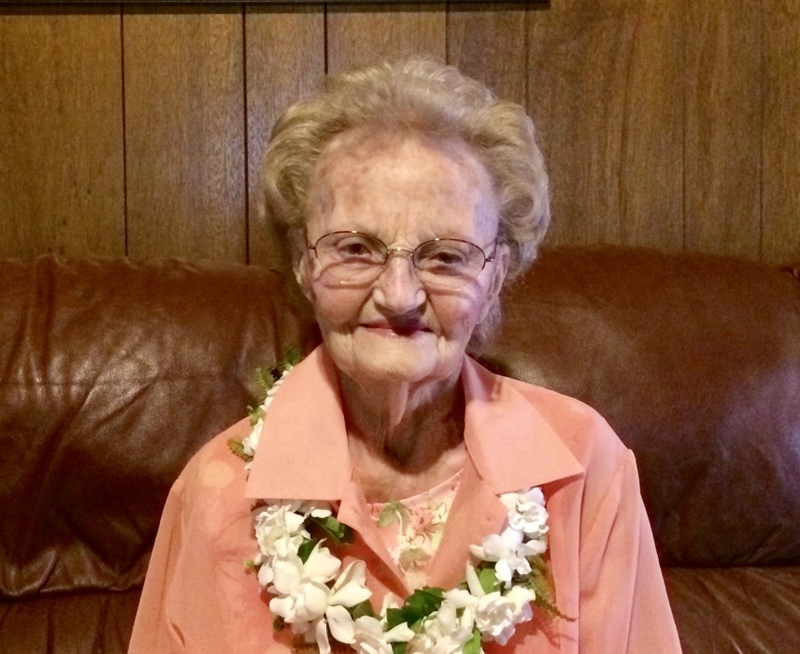 Lois Arleta Ward, a longtime resident of Campbell, passed away peacefully at home on April 6, 2019. She was born in La Lande, New Mexico on November 24, 1921, and was one of 10 children. After being raised in Texas and Arizona, Lois and her family moved to Indio, California, where she met and married her husband Cecil Ward. A few years later, Lois and Cecil made their way to Campbell, the place they called home for 73 years and raised their 6 children (daughter Ruth Ransom, and sons Tom, Leroy, Lonnie, Terry and Troy). Lois was devoted to her family and they were her most cherished blessing. Together they all enjoyed many camping and fishing trips and, in later years, Lois and Cecil enjoyed salmon fishing, beach walks, and picking wild blackberries together in Northern California, among other travels. Lois is the daughter of the late Linsey and Susie Mullins, and is predeceased by her husband, Cecil Ward, her oldest son, Tom Ward, her grandson, Bob Ransom, her granddaughter Holly Ward and other dear family members. She is survived by five children and spouses, ten grandchildren, fifteen great grandchildren, two great, great grandchildren, and a sister. In her latter days, Lois was comforted and cared for by her loving family, devoted caregivers, and the services of hospice. Lois was kind, gentle, loving, selfless and energetic; she always had a lively story to tell, a funny comment to add and a hug to give; she will be so very dearly missed. A funeral service will be held on Thursday, April 18, 2019, at 11:30 a.m., at Darling and Fischer Campbell Memorial Chapel, 231 E. Campbell Ave., Campbell. Viewing will be Wednesday, April 17, 6pm - 8pm and Thursday, April 18, 9am - 11am. In lieu of flowers, donations may be made to the American Heart Association.